Dr. Martin Snead is currently working as a Associate Lecturer at University of Cambridge, UK. 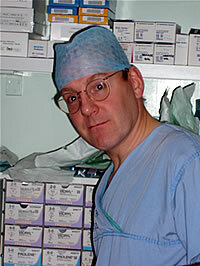 He graduated from London University in 1984 and trained in ophthalmic surgery in London, Nottingham, Cambridge and New York before being appointed as Consultant Ophthalmic Surgeon to Addenbrooke’s Hospital in 1996. Vitreo retinal surgery, Retinal detachment repair, Macular surgery, Ocular trauma, Diabetic eye disease.